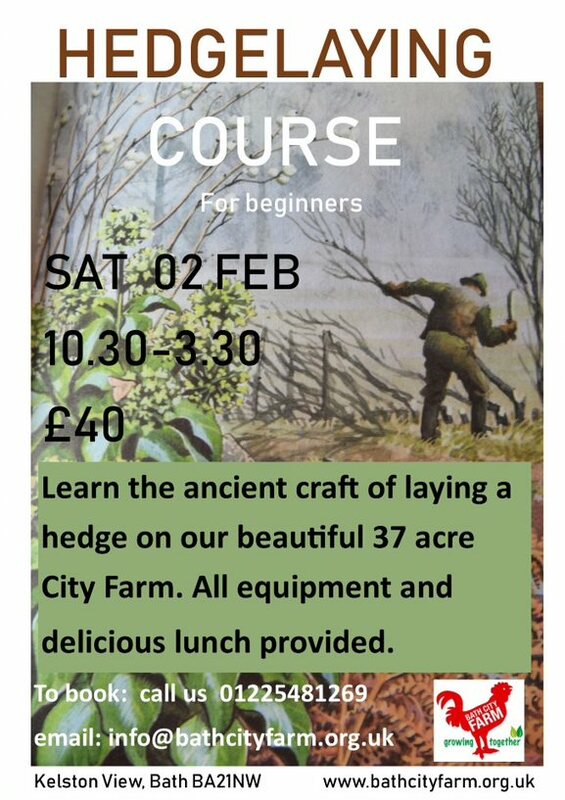 Come and learn the ancient art of hedgelaying on our beautiful 37 acre City Farm. Native trees are spliced and laid sideways to create a natural hedge that supports wildlife and keeps our animals safe. We’ll be tackling one of the overgrown hedges on the farm. Laying the hedge improves the stock holding boundary effectiveness and improves the ongoing life of the hedge – so it’s a very worthwhile task and a great skill feather to have in your hat. We have all the tools and knowledge to share to help you start out on this seasonal farming activity. Come ready for outdoor work in strong work clothes and sturdy boots. We’ve got the working gloves. We’ll provide a delicious hot lunch. NEW DATE DUE TO SNOW ON 2ND FEB – NOW 16TH FEB. Contact details are below to reserve a place – booking is essential.